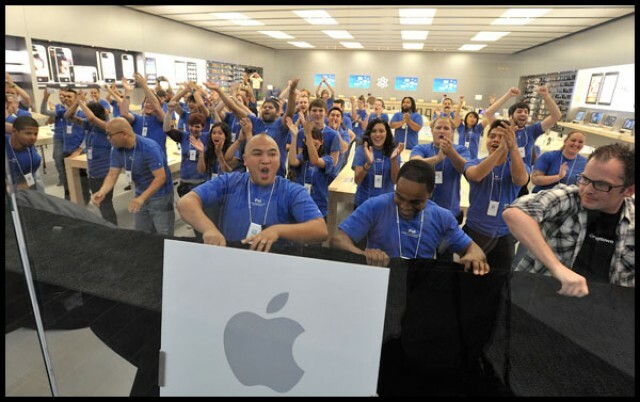 Any Apple fan would love to know what goes on behind the scenes at their local Apple store, but unfortunately the company’s obsession with secrecy means the only way to do that is to get a job there. It seems like a great place to work; after all, who wouldn’t want to play with Apple devices all day and then tell people why they’re so great? But did you know that on their days off, every Apple staffer has to workout rigorously to ensure they are strong enough to carry the store’s cash from the tills to the vault? This is just one of the secret rules every retail employee must follow each day. Thanks to the Joy of Tech, we can take a glimpse at some more of them. 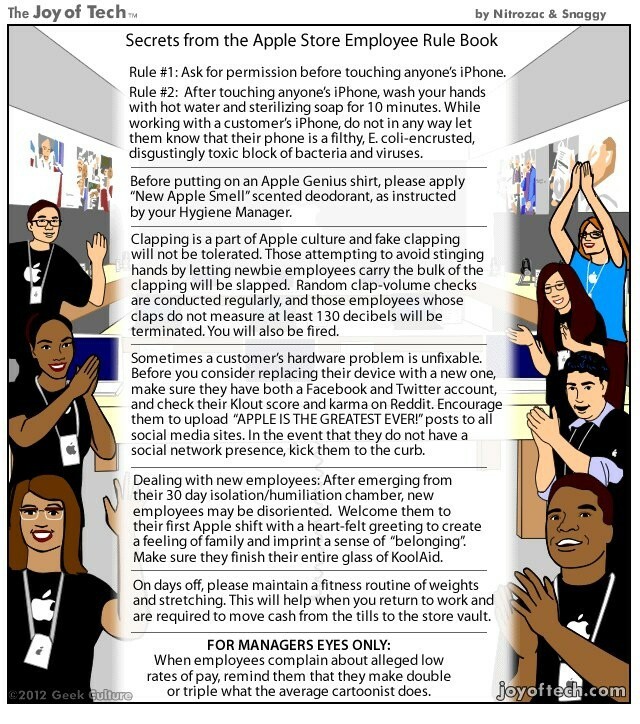 Who wants a job at the Apple store now?